With a background as a rock musician, Pastor Tom came to know the Lord in 1975 when he was 24 years old. A few years later, he began his ministry by leading praise and worship for several churches on the east coast traveling extensively throughout New England. In addition to serving in churches in music ministry and extensively studying the Bible, he also established and has operated a successful insurance agency for many years. In recent years Pastor Tom has served on the pastoral staffs of two churches in the northwest suburbs of Chicago, which ultimately led to the formation of Testament of Love Church, launched on March 6th, 2016. The vision is to establish a New Testament Church where a real Savior is the Head and the love and grace of the Father is proclaimed in the power of the Holy Spirit to individuals, families, communities, regions and then the nations. 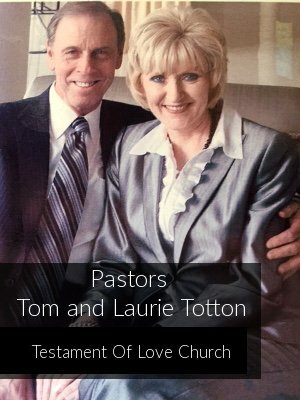 Pastor Tom and his wife, Laurie, have been married for over 30 years and have lived in the northwest suburbs of Chicago since 1988. They are blessed to have extended family living nearby.